1967 was a breakout year for military-inspired fashion. At the beginning of June, on the cover of the Sgt. Pepper's Lonely Hearts Club Band album, the Beatles wore their brightly colored satin band uniforms, complete with shoulder epaulets, braided cord (aiguillette) , stripes, buttons, medals and patches. Just weeks after that album's release, Jimi Hendrix could be seen sporting a British military-style jacket at the Monterey International Pop Festival. In that colorful, swirly psychedelic, pop-art, Carnaby Street era, military dress was just another style to be plucked and added to the bouquet of post-World War II fashion. Recent military-inspired trends include Haute Military which reimagines classic military shapes into designs utilizing functional fabrics and leather. Traditional military colors such as khaki, brown and black are contrast with floral and animal prints along with bright trims. You may want to start with a uniform to customize or decorate. This can be a dress coat with epaulets, a field coat with shoulder patches, an overcoat, single-breasted jacket, tunic as well as trousers with striping and many other styles. If you're not lucky enough to have inherited a uniform from a relative, there are many companies online that sell uniforms. You can also look at army/navy surplus stores, consignment and thrift stores along with community-based stores such as Goodwill, Salvation Army and St. Vincent de Paul. Those with excellent stitching skills can make your own uniform. Of course, you can forgo the uniform and add military-style jewelry and decorations to non-military clothing. Military hardware includes weapons, bullets, gun belts and goggles to name just a few. Actual military hardware can be purchased online or from your local outlets. 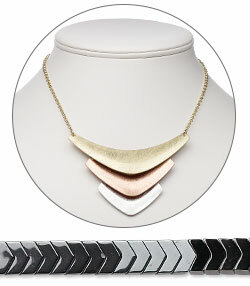 In addition to fabric chevrons, you can add chevron-shaped jewelry to your military-inspired ensemble--or use beads in your favorite color to create a chevron pattern to incorporate into a design of your own creation. 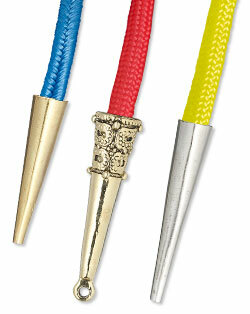 An (aiguillette) is decorative braided cord worn in a knot or loop arrangement and typically hung from the shoulder. Similarly, a fourragère is a military decoration made from braided cord and sometimes parachute cord. It is gathered and covered at the end with an elongated bullet-shaped cap. Soutache is an easy way to achieve the braided cord look for aiguillette or fourragèr. You can make your own medals. Create them using a pendant, a large and a small jumpring, a pin back and vertically striped ribbon. You'll also need chain-nose and/or flat-nose pliers and adhesive. 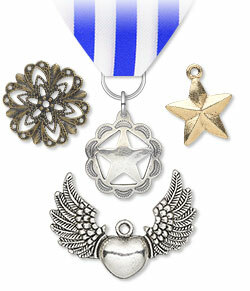 There are many pendant shapes that can be used for medals such as hearts and stars to name some popular choices. Fire Mountain Gems and Beads has a wide variety of buttons to choose from. antique brass finish and gold-plated or coated buttons are an especially striking and popular choice for military style garb. If you've found some vintage military buttons you want to use but don't have enough, you can duplicate them using molding compound. Here is a video tutorial that demonstrates how to do that: ''How to Use Molding Compound''. Whether you are dressing up a military uniform or adding flair to a civilian ensemble, military-inspired jewelry offers a legion of opportunities.